Owens-Illinois is a Fortune 500 company that specializes in container glass products and is one of the world’s leading manufacturers of packaging products. Granger was first selected to build the company’s new research and development center which is capable of melting and forming glass in a small-scale manufacturing environment, helping advance new concepts and emerging technologies that could revolutionize glass melting and forming. The owner-supplied equipment, consisting of the furnace, batching equipment and forming equipment, was manufactured in Germany which required significant coordination and communication. 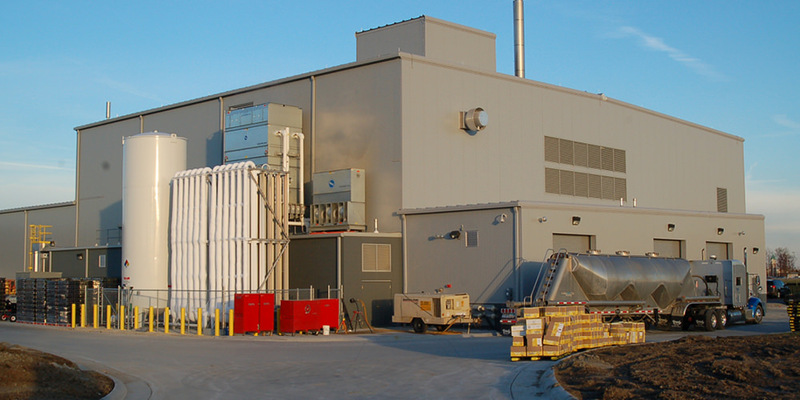 A SCADA system was installed specifically for the Innovation Center Research and Development process equipment and integrated into the overall plant system. With the help of our highly experienced self-perform concrete division, Granger placed over 1,300 cubic yards of concrete. Despite an unusual amount of adverse weather conditions and a multitude of owner-directed changes, this project was still delivered within its original completion date. Commissioning was performed by Granger’s in-house FUNCTIONS Division.